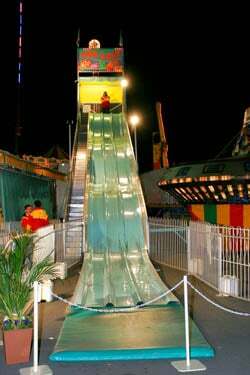 Grab a slide bag and hang on Combining excitement, wide appeal and high throughput; giant fiberglass slides cannot be beaten for performance and safety. 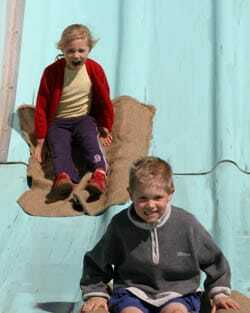 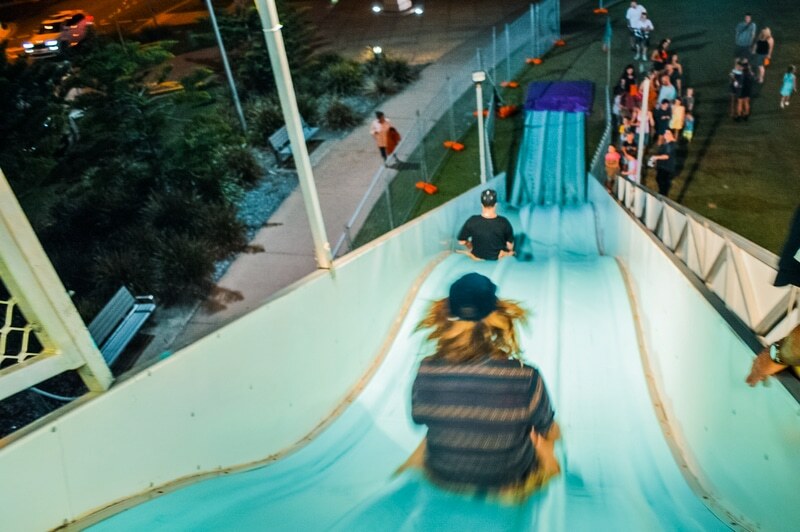 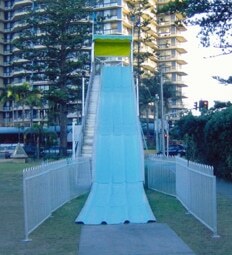 No fete, fair, carnival or Fun Day is complete without the free flowing fun of the Super Slide Giant Slide. 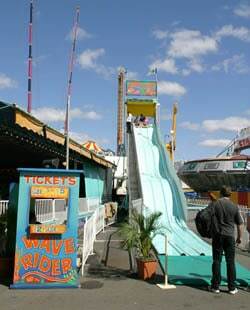 There can be 3 rides sliding down at a time. 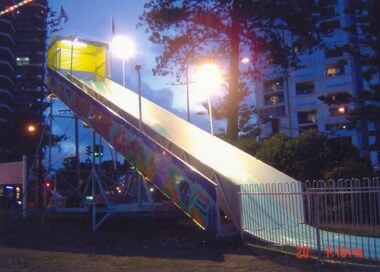 Giant slide come complete with an experienced operators and safety barriers.